Transferring objects from one place to another is a favourite activity of most young children. It seems like they're just moving things about but, like much of what children do, it is so much more than it appears. while at the same time learning a skill useful in their quest for independence. Setting up a spooning activity, is is easy and practical as you probably already have everything you need in your cupboards. Setting up the activity on a tray makes it more practical as any objects which are spilt fall onto the tray and are more easily retrieved. When introducing any new activity to your toddler first show it to them while sitting beside them so they can clearly see the actions required and then, if practical, store the tray on a shelf where it is possible for the child to choose and use independently. 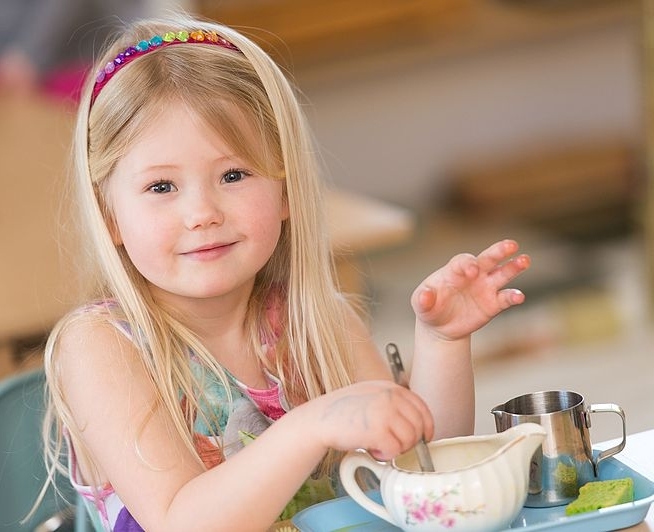 If your child is not yet ready for using a spoon the activity can be set up in the same way with things like pom poms or shells which the child transfers from bowl to bowl by hand. There are many ways this activity can be developed and refined as your child develops.